I’m the best operator in the entire agency. The plum assignments—always mine. So when an American heiress goes missing, I’m the guy they call to get her back. Rescuing Collette Stanford is my mission. What I do to her after that is purely up to me, as long as she makes it back to the States in one piece. I’ll kill the bad guys, get the girl, and get a little taste of what the heiress has to offer. None of this is negotiable. I’m Cash Remington, and I never miss. I plunder the sea, steal what I can, and never look back. It’s a pirate’s life for me. When my crew and I discover a destroyed ship floating on the endless waves, we scavenge it for every scrap of cloth and every morsel of food. Inside, I find a treasure—gold, gems, and a girl. I’ll ravage the girl, spend the gold, and use the gem to buy the ship of my dreams—the Gloomy Lotus. At least that’s the plan—until the Kraken, a whirlpool, and a six-headed beast attack my ship. Despite the danger, I still intend to have my way with the girl and take the Gloomy Lotus. Nothing can stop me. 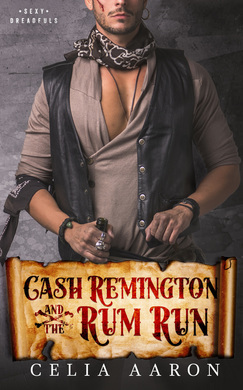 I’m Cash Remington, and I take what I want.